The prices of crude have come sliding down to 40%. The Saudi Arab may want to put pressure on the Shell companies of America and Canada. This fall in prices in the crude has put pressure on the Shell Company which produces oil and gas and OPEC which is Organization of Petroleum Exporting Countries maybe treats it as opponent. OPEC is an permanent intergovernmental organization created in Bagdad conference by Iran, Iraq, Kuwait, Saudi Arab and Venezuela. In one way in comparison to crude the cost of production of Shell is more, so in a way for Shell Company the price of the crude remains between 65 to 75 dollar than only it will be beneficial for production activity in Shell. The problem area is that since June the crude price has tumbled down to 40% and despite this the OPEC has not cut down on its production and so the global requirement of oil is being met and so the prices are coming down. This will create further problems to the oil and gas producing Shell Company of America and Canada that is default in loan repayments. Shell Oil Company is the US based subsidiary of Royal Dutch Shell which is multinational oil major of Anglo-Dutch origin which is amongst the largest oil companies of the world. The US office is in Houston Texas. Shell Oil Company including its consolidated companies with its equity companies is one of the America’s largest oil and natural gas producers, natural gas marketers, gasoline marketers and petrochemical manufacturers. Shell Oil Company is in 50/50 percent partnership with the Saudi Arabian Government owned oil company Saudi Aramco in Motiva Enterprises which is a refining and marketing joint venture. Shell products include oils, fuels and card services as well as exploration, production and refining of petroleum products by the Shell formulation process. Shell formulation is made from sedimentary rocks which are under the sea, these rocks have kerogen from which oil and gas is produced. Since past four decades no such tension was witnessed and in terms of India since there is no support at the base so further slide in the price of the fuel is inevitable. And when the oil price falls certain stocks rise as per the past trends of the stock market’s performances and since the Indian equities always do better in such conditions the FIIs will continue betting in a big way notwithstanding their current overweight position in the local equity market. MSCI Asia ex Japan in 9 out of 11 occasions when global crude oil prices have dipped more than 10%. 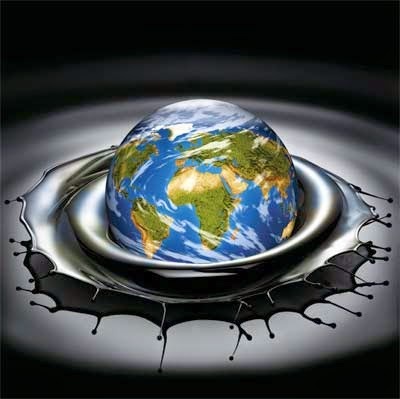 The latest on Brent crude oil is that it is trading at $70 a barrel that is 40% LOWER SINCE June, and between 2008 and 2009 crude oil slipped by 67% following fears of global economic slowdown. Whenever the crude oil prices fall the direct beneficiaries are the public sector oil marketing companies and automobile sector.